My wife’s father, Stephen Boyce, lived in the hills above the Village of Glen in Mevagh Parish in the north of County Donegal, overlooking Sheephaven Bay. From these hills, he could see a castle at the mouth of the Doe River on the bay. It was (and still is) Doe Castle (Caisleán na dTuath), the former stronghold of the MacSweeneys who ruled this area of Donegal. Members of the MacSweeney clan came to Ireland from Scotland in the year 1258 as gallowglasses (mercenary soldiers) for Donal Og O’Donnell, chieftain of Tir Conaill. The MacSweeneys eventually became the ruling clan of the Rosgoill Peninsula, the Fanad Peninsula and Doe (west of the town of Carrigart). 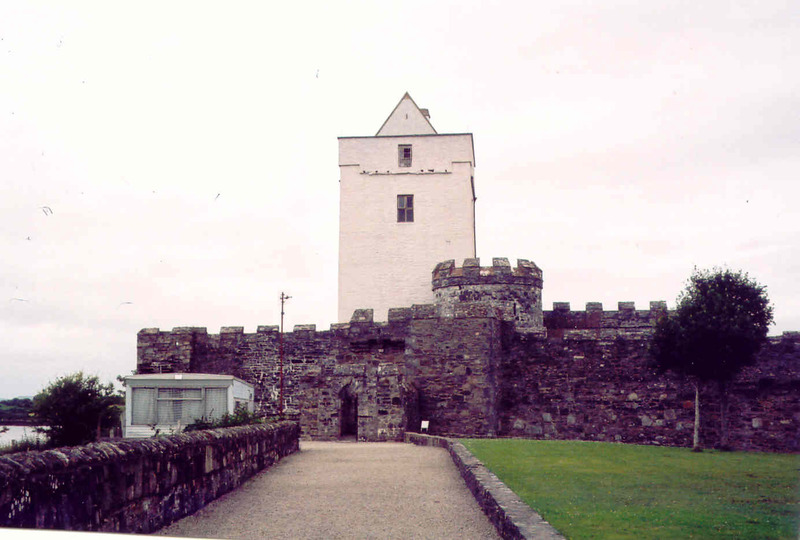 Their stronghold was Doe Castle, built around 1525 and surrounded on three sides by Sheephaven Bay and with a moat on the land side. The MacSweeneys also occupied a crannog in the bay at Downings. 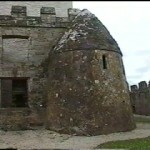 In the 1600s, Doe Castle changed hands several times after the Irish earls were defeated by the English in the Nine Years War. In 1603, Maolmhuire MacSweeney lost it to the newly appointed Earl of Tir Connail, Rory O’Donnell. 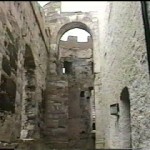 The MacSweeneys retook the castle in 1606, but the Earl took it back in 1607. He appointed Captain Basil Brooke as custodian. The castle changed hands again in 1608 when Cahir O’Dougherty seized it. The English controlled it again in 1611 when Sir Richard Bingley occupied Doe Castle. 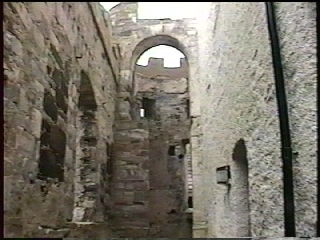 Eventually the castle became the property of John Sanford. In the rebellion of 1641, the MacSweeneys again regained Doe Castle. It was placed under the command of Captain Donnell McNeill McSwyne (MacSweeney). They held the castle until it was captured by the English again under Sir Charles Coote. In 1689, the armies of King James II marched to Doe and the castle was abandoned by its commander, Mathew Babbington, who withdrew to Derry. The castle was taken over by Donagh Og MacSwyne. This was temporary; James II lost to the Williamites at the battle of the Boyne, and it again became occupied by the English. 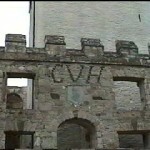 Doe Castle became the property of George Vaughn in 1761. It was owned by him and his heirs through 1864 when it was sold to the Stewart family of Ards. It became an Irish National Monument in 1932 when it came under the control of Dúchas. 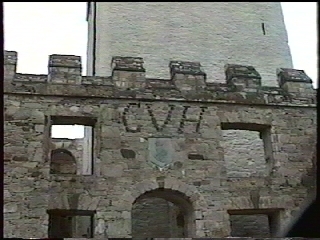 The initials GVH embedded into the walls at the seaward entrance (photo below) are for General George Vaughn Hart, grandson of George Vaughn. 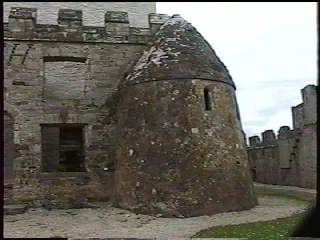 General Hart owned Doe Castle in the early 1800s. 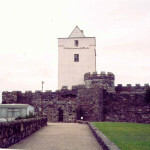 Doe Castle is still a gathering place for Sweeney and MacSweeney descendants who return here during their periodic reunions.